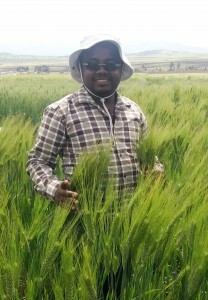 Wheat is important for food and nutritional security in Africa. Increasing population growth and urbanisation in Africa has triggered changes in food consumption patterns with a shift from traditional food to easy-to-cook foods which are mostly derived from wheat. It is one of the major cereal crops in Ethiopia predominantly grown by small-scale farmers under rainfed conditions. Currently, about 4.9 million farmers produce close to 4.5 million tons of wheat harvested from 1.7 million hectares of land with average productivity of 2.6 t/ha. Productivity of wheat per unit area is low compared to the world average (3.41 t/ha). And, still the country imports around 30% of the demand from other countries. Several factors contribute to low productivity, but wheat rust diseases especially stem and yellow rust has become frontline constraints. The ratesof genetic gain required over the next 10 years provide significant breeding and genetic challenges. The major drivers of genetic change include: the level of genetic diversity for the traits defined in the breeding program, the ability to identify desirable traits either phenotypically or genetically and the intensity of selection for the trait. Finally, the generation cycle time or the time taken from the first cross to the next cross involving the trait of interest. 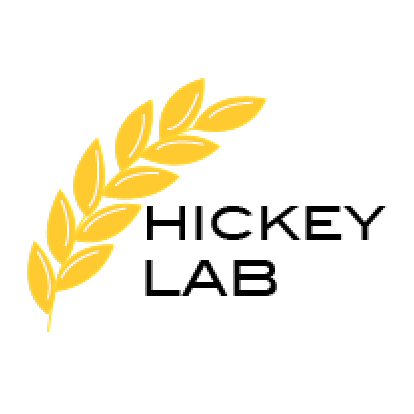 Overall, this project aims to integrate several key biotechnologies associated with increasing the rate of genetic gain vis-a-vis: introducing increased genetic diversity, utilising whole genome markers for understanding the genetic diversity and investigating the genetic control of major traits through genome-wide association studies. The project will also utilise “speed breeding” methods to rapidly advance generations, incorporating both genotypic and phenotypic selection for disease resistances, yield and agronomic associated traits and grain quality.